Star Wars came to Rochford on Saturday 3rd June, albeit in a subtle kind of way! Massive congratulations to Hayley and Dave who were married at The Red Brick Barn at Sutton hall, Rochford, Essex, a true hidden gem and the weather was perfect. 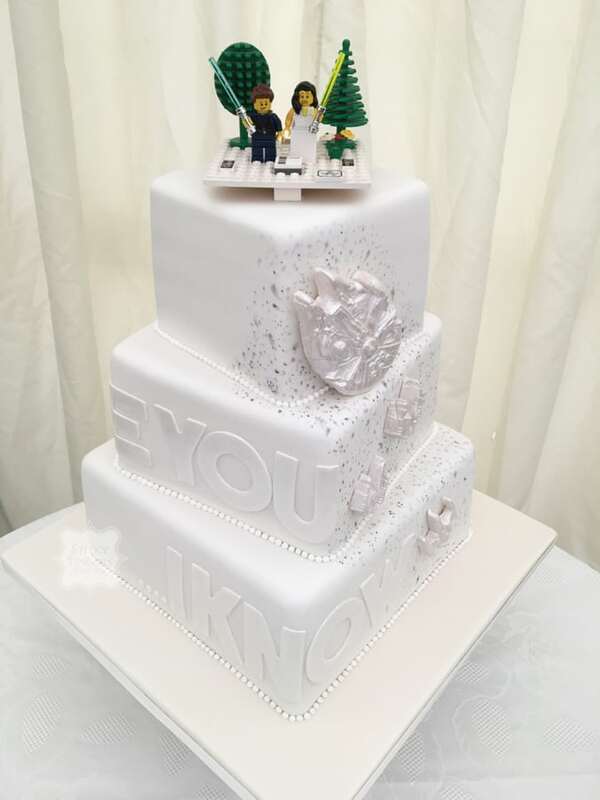 As they chose to have a square cake we were also able to place the tiers on top of each other in an off-set way which added a different dimension to the cake. The flavours they chose were Almond and Raspberry, Lovely Lemony Lemon and Rich, Dark Chocolate. We hope you had an amazing day and wish you lots of happiness for the future!